Scotland is an absolute treasure trove for the outdoor photographer. 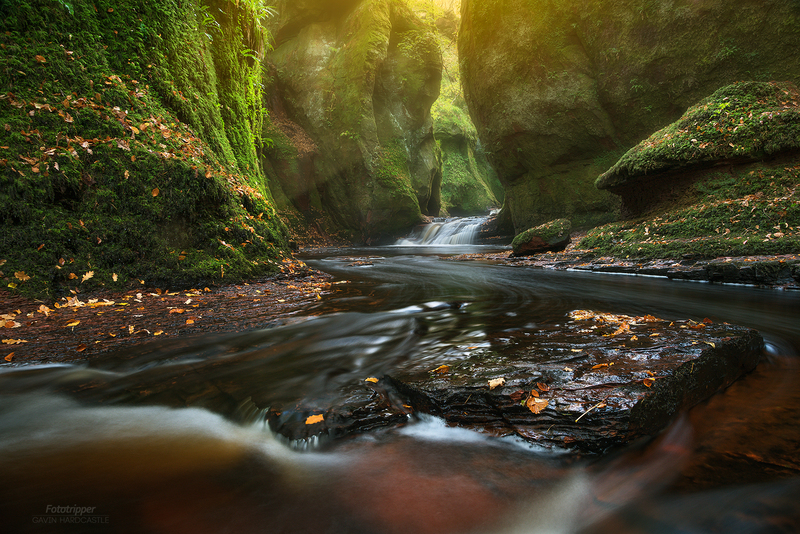 This hidden gorge near Glasgow is one of my most favourite places and yields amazing shots in the autumn season. As long as the water flow isn’t too heavy, you can pretty much guarantee a good shot. Just be prepared to get your feet wet and you cannot fail. Of course, high water rarely deters me from at least trying to get a good shot. I think I’m still a little boy at heart, always wondering what’s around the next corner, hoping to see something magical. With this special place, I almost always do. If you like the idea of shooting with me at this very location, take a look at my Scotland Photography Workshop.